Looking for the perfect, functional gift? 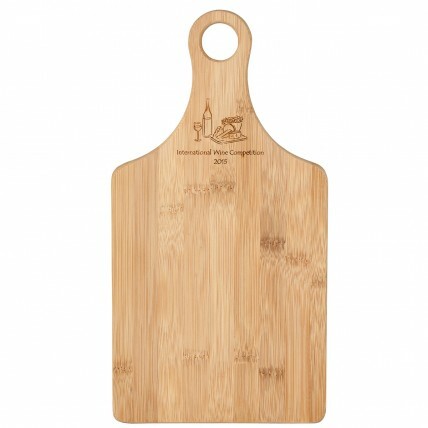 Check out our eco-friendly Paddle Shaped Bamboo Cutting Board! Measuring 9 3/4" by 13 3/4" by 9/16" thick, this useful tool features a cut out in the handle, perfect for hanging storage. Corners are rounded, and the edge is beveled, for a clean, finished look. The board is reversible and can be used on either side. Hand wash only; not recommended for use in a dishwasher or in a microwave. Price includes engraving and a white box for gift giving.